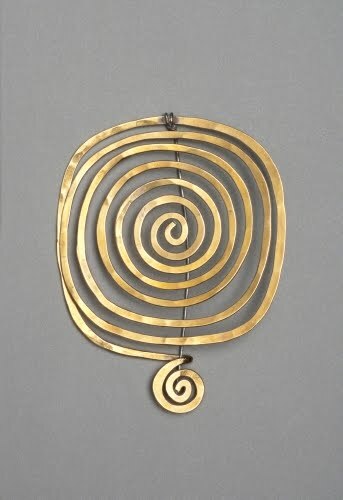 You are probably familiar with the art of Alexander Calder. 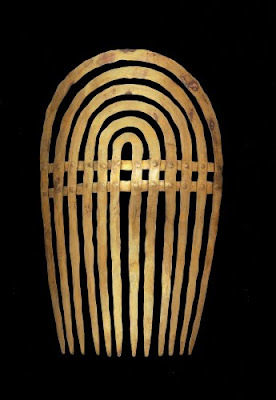 He is, in particular, renowned for his invention of the mobile, a term coined by Surrealist Marcel Duchamp (1887–1968). 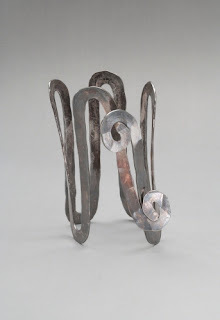 He is considered one of the pioneer abstract American sculptors, and is also known for his giant “stabiles,” his mobile-stabiles, textile designs, painting, and, something I find among his most fascinating work of all, jewelry. Calder was born a fourth generation of a family of academic sculptors. During childhood he showed an early interest for constructing stuff such as tools, jewelry, animal figures and game boards from a variety of found materials. 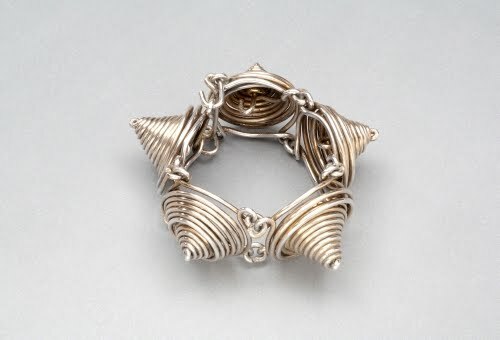 Some of his earliest pieces of jewelry were made of wire for his sister’s dolls. He received a degree in mechanical engineering from the Stevens Institute of Technology in Hoboken in 1919. While working in the field of hydraulic engineering, he took night classes in drawing. Eventually, in 1923 he decided to be an artist, enrolling in the Art Students League. He initially emphasized painting. A drawing assignment to illustrate the Ringling Brothers Circus renewed his childhood interest in animals and provided the subject matter for sculptures throughout his career. In 1926 he published the book "Animal Sketching." Calder moved to Paris for a year in 1926. Between 1926 and 1931, mostly for personal enjoyment, Calder began to make moving toys and figures that eventually became his "Calder Circus." His "Circus" performances—in which he turned cranks to move the figures—were wildly popular in the avant-garde art world in Paris, and soon became so in the US. The circus also started Calder on the path toward a revolutionary exploration of abstraction in sculpture, leading eventually to his mobiles and stabiles. After “Circus,” Calder began working with wire, in portraits, animals and figures. He pretty much redefined the perception sculpture by "drawing" it in wire in space. 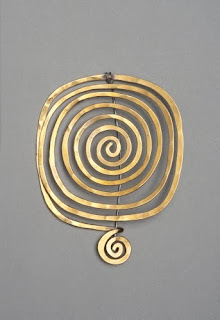 Just as the Surrealists had revolutionized the centuries-old tradition of carving or casting with their found object assemblages, Calder had broken tradition, using not the mallet and chisel, but rather shop tools of welding torch, wire cutters, and pliers. 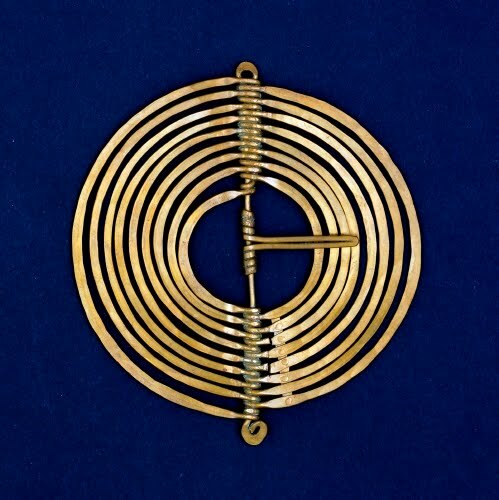 By the late 1920s, he applied this technique to a serious study of making jewelry. 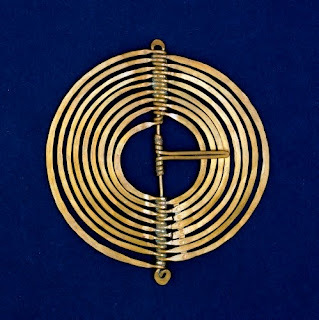 Calder first exhibited his jewelry in 1929 alongside his paintings and sculptures. 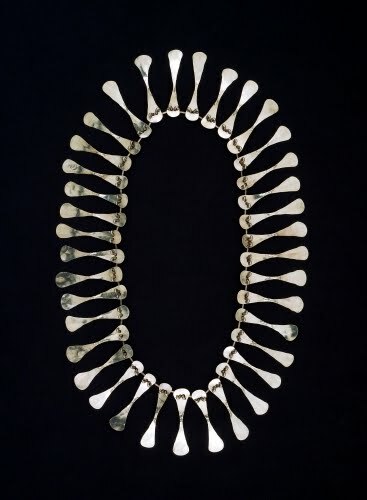 Selling his jewelry at low prices was a way for Calder to earn a living while establishing himself as a sculptor. By the late 1930s, wearing Calder’s “wearable sculptures” became an artsy statement for society women in New York. His designs were unique and were not mass-produced. I’ve seen several photographs of Georgia O’Keeffe (1887–1986) wearing a Calder brooch in bird-form. 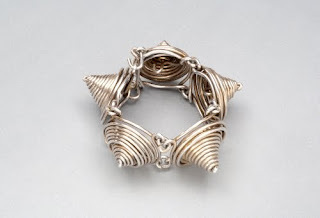 This bracelet makes it easy to understand how Calder transitioned from his wire sculptures to classy jewelry. These pieces of hammered metals really do remind me of the flat steel shapes seen in Calder mobiles. They also have the same playful, curvilinear shapes seen in Calder’s paintings and textiles designs. These pieces are so classy and must have look so sharp on 1940s fashions.